Good afternoon Chairmen Richards and Lancman, and members of the Committees on Public Safety and the Justice System. Thank you for the opportunity to speak today about my Office’s Fiscal Year 2019 Preliminary Budget. The support we have received over the years from the City Council has helped us stay at the forefront of prosecutorial innovation and is critical to our continued success in reducing crime in Manhattan. The City’s investment in local law enforcement has led to record low crime levels across the five boroughs. Last year in Manhattan, there were 46 homicides, a slight uptick from 41 in 2016, but a far cry from the 70 there were in 2010 when we believed crime had hit a new low and questioned if it could go lower. Keep in mind that the 2017 homicides sadly include 8 people who were killed in the terrorist attack along the West Side Highway. This attack was a needless reminder of the counterterrorism threats continually facing our City. In 2015, I created a Counter Terrorism Program to handle prosecutions against terrorists and those who seek to recruit or incite violent individuals. 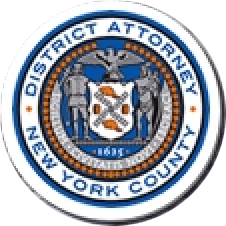 Working with the NYPD Intelligence Bureau, the Office has applied New York’s state terrorism charges to four prosecutions, two of which are pending, and obtained two convictions. In addition to contributing to record lows in violent crime, my Office has made criminal justice reform and reducing unnecessary incarceration among its highest priorities. As a result, we have drastically reduced the number of prosecutions for low-level offenses in Manhattan. In 2010, my first year as District Attorney, there were 85,615 misdemeanor and violation arraignments in Manhattan Criminal Court; last year there were 55,980 arraignments, a 35% reduction. By the end of 2018, we expect to drive that number even lower due to a number of policy changes and reforms that I’d like to outline for you today. First, as of February 1, the Manhattan DA’s Office no longer prosecutes turnstile jumping and unlicensed vending except when there is a demonstrated public safety reason to do so. The NYPD can and should continue to enforce these offenses through its routine enforcement, and we are monitoring this closely to ensure that anyone who poses a public safety threat will continue to be prosecuted by my Office. Since these reforms went into effect on February 1, we have had an 88% reduction in arraignments for Theft of Services compared to the same period last year. Looking ahead, I support the campaign to subsidize MetroCards for the city’s poorest riders. Several members of your committees – including both Chairs – are also supporters. I hope the City Council can explore this idea further with the MTA. In January, my Office also took a giant step towards reducing unnecessary incarceration by no longer requesting bail in the majority of misdemeanor cases. Under this new policy, which closely tracks one implemented by the Brooklyn DA’s Office last year, Manhattan prosecutors operate from the presumption that no bail should be requested in misdemeanor and violation cases except in limited circumstances such as cases involving a victim or where a defendant injures a police officer, firefighter or other public servant. To date, bail requests are down 25% as compared to 2017, and we are now exploring ways to expand this policy to categories of felony cases. We are also engaged in conversations with MOCJ and the City Council about expanding the eligibility criteria for Supervised Release, for which my Office provided $13.8 million in asset forfeiture funding to expand the program citywide in 2016. I strongly encourage the Council to work with the administration to secure additional funding for Supervised Release. We believe that these policies – reducing reliance on monetary bail and an expansion of alternatives to detention such as Supervised Release – support our goal of closing Rikers Island, one that I share fully with the Council. Third, we continue to divert people from the court system through Project Reset, our pre-arraignment diversion program. To date, we have declined to prosecute 807 16- and 17-year-old first-time arrestees through this program, and another 42 participants are currently enrolled. The program has a 98% completion rate and early analyses indicate that it’s having an impact on recidivism too—preliminary analyses indicate that only 6% of Project Reset participants were rearrested six months after completing the program compared to 19% of similarly situated 16- and 17-year-olds. Beginning on February 1, we expanded the program to people of all ages charged with non-violent misdemeanors in Manhattan and we now expect to divert more than 5,700 people from the criminal justice system each year. We believe that these diversion options provide critical early interventions to New Yorkers at their first point of contact with the justice system, and will prevent thousands of individuals from ever stepping foot in a courtroom or heading on a trajectory that leads to jail or even deportation. Building off this portfolio of pre-arraignment diversion programs and Staten Island’s successful pilot, we are planning for the implementation of Manhattan H.O.P.E., which will come online later this spring. The Manhattan pilot, which will serve neighborhoods in the Manhattan North, will serve approximately 300 people during its first year, including those arrested for possession of controlled substances such as opioids, heroin, cocaine, Ecstasy, LSD, and other drugs. Finally, in August 2017 alongside my DA colleagues in the Bronx, Brooklyn, and Queens, we collectively dismissed roughly 645,000 old summons cases, with more than 240,000 vacated summons warrants from Manhattan alone. One might conclude that there is a reduced need for prosecutors given the impact our reform efforts have on caseload. I would like nothing more than to put prosecutors out of business, but the reality is that we are busier than ever focusing on more serious and emerging threats, from cybercrime to counter-terrorism, as I mentioned, as well as more traditional violent crimes, from murder to hate crimes to the seemingly intractable domestic violence, as well as crimes involving rooting out financial fraud and corruption. Criminal activity has become significantly more sophisticated and requires far greater emphasis on proactive investigation and pre-trial litigation. Accordingly, prosecutors must dedicate a significantly larger amount of time to each case to adequately serve the interests of justice. The proliferation of digital evidence associated with almost every case, from video footage to emails and text messages, requires substantial resources and staff time to retrieve, analyze and store. The NYPD Body-Worn Camera initiative is a good example of this challenge. Our office has actively participated the NYPD pilot since it began and we are learning a great deal regarding the resources we need to effectively implement body-worn cameras in our borough. For example, my staff needs to download and organize the video evidence, which can be especially time-consuming because many videos are shared without clear identifiers that link the video to a specific arrest. Staff must also determine if video should have been shared but was not, and then attempt to secure the missing video from the NYPD. Finally, almost all the video files will need redactions performed before they are shared with the defense and the court. Despite advancements in technology, it is an incredibly resource- and time-intensive process. Given the expected volume of arrest videos, my staff cannot assume this new responsibility into their current workload. Once fully implemented, we will require 14 additional staffers with a total annual funding need of $650,000. Each day the evidence on a serious crime languishes is another day a crime victim has to await justice, or a defendant has to spend at Rikers Island. In addition to handling an ever more complex caseload, ADAs must staff an average of 1,100 institutional assignments per month. This means we are obligated to assign prosecutors to courtrooms every day, regardless of whether there are 2 cases being called or 40. Institutional Assignments include night and weekend intake and arraignment assignments, as well as regular and non-trial court appearances. Unfortunately, it is becoming increasingly difficult to recruit law school graduates to accept positions as ADAs given the relatively low starting salary we can offer them. The starting salary of an Assistant District Attorney in my Office is $63,000, which is considerably lower than other public service lawyers, including those in other City agencies like the Law Department and MOCJ. Given the twin burdens of tremendous law school debt and the cost of living in New York City, many young people simply cannot afford to accept the positon despite their interest. We are disappointed that the mayor has not addressed this unfair salary parity but we will continue to work with the Mayor’s Office and OMB to address this critical issue and I ask for your support. The last thing any of our Offices want is to have classes of prosecutors comprised only of individuals with independent means or wealth. Prosecutors need to be reflective of the diverse population they are seeking to serve. Thank you for the opportunity to speak today, and thank you for the continued support of my Office.